Berlin in march 2013. It's still winter. I tell myself: "Snow doesn't matter. It's even beautifully white. The cold and the frozen damp are merely celestial whims, which need not concern you." I am travelling by bike. In my coat pocket is a media player and I have slipped a huge pair of headphones on over my cap. I hear a bass sound, as warm and friendly as a blue whale's Hello. My body temperature rises by two tenths of a degree Celsius and the snow on Schönhauser Allee shines all the more vividly. I hear reverberating guitars and angel choirs from far away. Above them rises a voice: "It's going down, it's going down, it's going down." Why? What's going down the drain? Us? The world? Have you been to the future? What did you see? The voice belongs to Daniel Schaub. 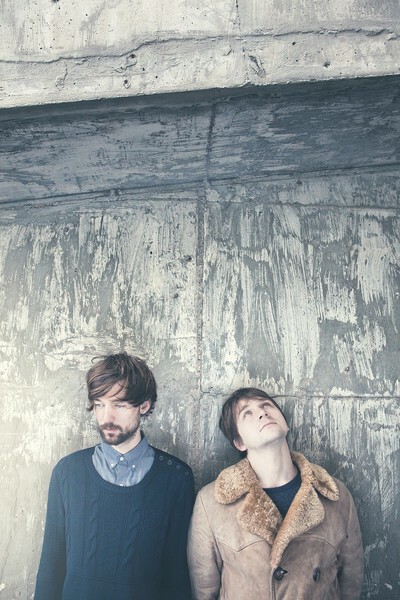 He and Pär Lammers form the electronic- songwriter super-duo Jack Beauregard. Their new album is entitled "Irrational". I'm listening to it now, out here in the muffled city, and I want to hear it when I'm sitting in that shuttle to Mars, waving goodbye and "see you not so soon" to our gray-blue planet. Because this music is made for today and tomorrow: It allows us to look up into space now, and tomorrow to think back in a dream of something that was good and exciting in the early teenage years of the second millennium. Jack Beauregard was founded in 2006 in Amsterdam, where Pär Lammers and Daniel Schaub studied. 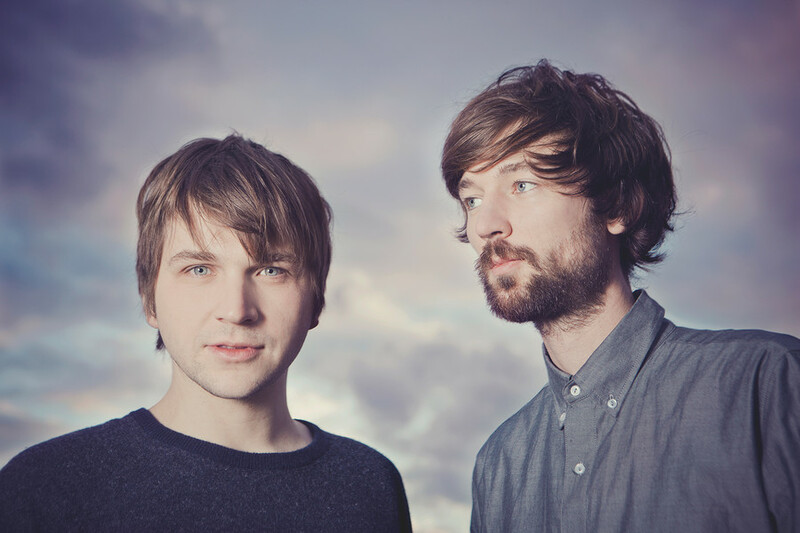 They came up with their first song ideas on a joint trip through Scandinavia, before mutating into the indietronic answer to the Beatles in Daniel's one-bedroom apartment in Amsterdam. Their first album "Everyone Is Having Fun" was released in 2009 on Tapete Records. This very catchy and yet fairly rough mishmash of styles afforded Jack Beauregard their first successes. 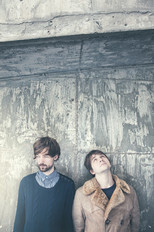 But the real momentum began in 2011, after the two relocated to Berlin, with the release of "The Magazines You Read". The album and the first single "You Drew A Line" made all of those who still have any feelings listen up. Finally it was once again possible to cry while dancing (or the reverse). 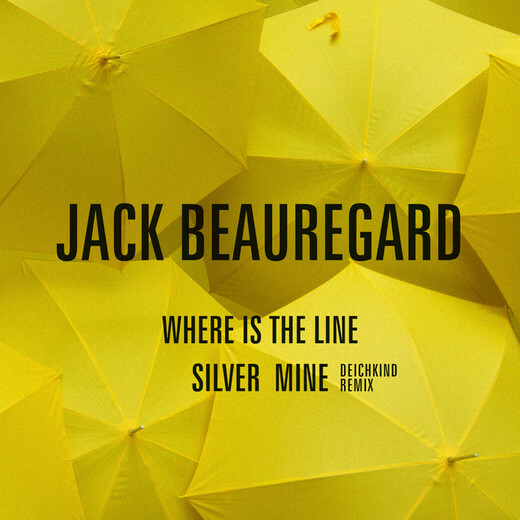 Jack Beauregard's flawless pop brought them truck loads of critical acclaim, enthusiastic devotion and concerts as support for Hurts, Gotye, Mika and Boy. After working their magic onstage in Germany, Austria, Switzerland, Holland, Sweden, Denmark, England and France, Pär Lammers and Daniel Schaub began creating their so-called difficult third album, allowing themselves an entire year. "Irrational" originated in Berlin, within the four walls of their Jaqueline Bellevue Studio. For the first time, Jack Beauregard worked with guest musicians, recording drums and woodwinds, with the wonderful Valeska Steiner from Boy contributing backing vocals on some of the songs. Daniel Schaub and Pär Lammers tirelessly hone the perfect synthesis of acoustic and programmed elements. The effort, nerves, patience, relationships, friendships and biorhythms that were sacrificed for this record are nowhere to be heard. The music is inexplicably unencumbered. But it must be said here: It is a great achievement to write, record and produce such colorful and multifaceted music. 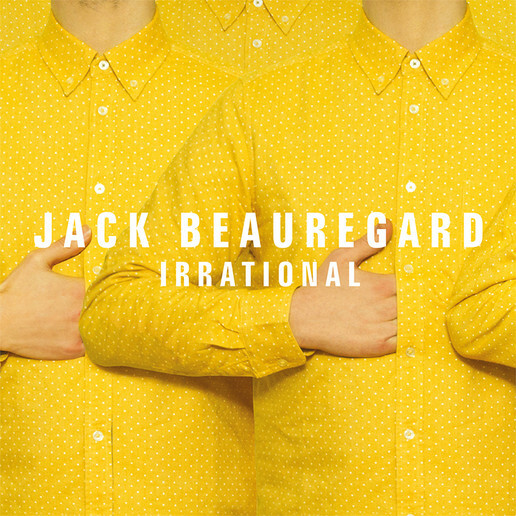 With "Irrational", Jack Beauregard have succeeded in allowing the listener to completely forget what instruments are being played, which words are saying what, and in what style this music might be categorized. They move elegantly between song and track, between the straight bass drum and the "I love you, I love you not" – a melancholy dilemma that can be found within every melodic phrase of this record. With their third album, Pär Lammers and Daniel Schaub have achieved the kind of independence and universality that, for example, can bring an author to distrust his words and make him forget his work. The music says, "Put the pen away, shut down the computer, listen closely, dream on." A dream is not a bad analogy for what holds the ten songs on "Irrational" together. The music and lyrics play with memories of situations that never happened, yet seem more real than everything that actually did happen. "This ship is on fire, but it's leaving the harbor" sings Daniel like a man who was on board, but has no idea how he managed to reach land unscathed. "Not That Kind", the first single from the album, describes how it mostly is: "It's not that bad, it's not that kind." This state between euphoria and despondency – one might say the normal state, which is good because it contains all shades within itself – has rarely been celebrated as beautifully as in this song. The entire album travels through time, exploring the styles of the last, say, 50 years: The Gaussian blur of Simon and Garfunkel, the rhythmic framework of "Rockit" era Herbie Hancock, the nursery rhyme melodies of Robert Palmer and Nik Kershaw, the magic of great pop albums from "Rumours" to "Thriller" to "Alphabetical". All of that shines through the music like the sun through the parchment. Yet there is never a fence post in sight: Jack Beauregard have internalized their heroes far too much to be eclectic. On "Irrational" Pär Lammers and Daniel Schaub have simply made their music, showing everywhere they have ever been. And we can dance to it or we can cry to it. Or both. Slowly i'm starting to believe in time travel: While wandering about on the Internet i discover a photo that is hanging in a canadian museum. It shows a crowd of people around 1940. And right in the midst of it is a tall hipster in sunglasses, a printed shirt and woolen scarf: Daniel Schaub! A few days later i watch "Circus" by Charlie Chaplin for about the hundred and fiftieth time. In this film from 1928 there is a street scene where a figure in a long coat can very briefly be seen walking through the picture, talking on a mobile phone. Poor disguise, Pär Lammers! I've got you guys! Berlin im März 2013. Es ist immer noch Winter. Ich spreche mit mir: "Schnee ist egal und sogar schön weiß, Kälte, frierende Nässe, alles überirdische Launen, um die du dich nicht scheren musst.“ Ich bin mit dem Fahrrad unterwegs, in der Jackentasche ein Abspielgerät und über die Mütze gestülpt ein riesiger Kopfhörer. Ich höre einen Bass-Ton, warm und freundlich wie das Hallo des Blauwals, meine Körpertemperatur steigt um zwei Zehntel Grad Celsius und der Schnee auf der Schönhauser Allee strahlt noch erhabener. Ich höre verhallte Gitarren und Engels-Chöre von ganz weit weg, über die sich eine Stimme erhebt: "It`s going down, it`s going down, it`s going down." Warum? Was geht den Bach runter? Wir? Die Welt? Wart Ihr in der Zukunft? Was habt ihr gesehen? Die Stimme ist die von Daniel Schaub. Er und Pär Lammers bilden das Electronic- Songwriter-Superduo Jack Beauregard. Ihr neues Album heißt Irrational. Ich höre es jetzt draußen in der gedämpften Stadt und will es hören, wenn ich im Shuttle zum Mars sitzend unserem graublauen Planeten "bis nicht so bald" winke. Denn: diese Musik ist gemacht für heute und morgen. Sie lässt uns jetzt nach oben ins All schauen und morgen im Traum zurückdenken an etwas, das gut und aufregend war in den frühen Zehner-Jahren des zweiten Jahrtausends. Jack Beauregard wird 2006 in Amsterdam geboren, wo Pär Lammers und Daniel Schaub studieren. Auf einer gemeinsamen Reise durch Skandinavien spinnen sie erste Songideen, um später in Daniels Amsterdamer Ein-Zimmer-Wohnung zu den Beatles auf indietronisch zu mutieren. Das erste Album "Everyone is having fun" erscheint 2009 auf Tapete Records. Mit ihrem darauf vertretenen, sehr eingängigen und dennoch schön roughen Stilmischmasch feiern Jack Beauregard erste Achtungserfolge. Der richtige Schub kommt 2011, nach dem Umzug der beiden nach Berlin, zur Veröffentlichung von "The Magazines you read". Das Album und die erste Single "You drew a line" lassen alle, die ihre Gefühle noch bei sich haben, aufhorchen. Man weint endlich wieder beim Tanzen (oder andersrum). Ihr lupenreiner Pop bringt Jack Beauregard Truckladungen Kritikerlob, von überall zufliegende Herzen und Konzerte im Vorprogramm von Hurts, Gotye, Mika und Boy. Nachdem sie Deutschland, Österreich und die Schweiz, Holland, Schweden, Dänemark, England und Frankreich bespielt und gebannt zurückgelassen haben, machen sich Pär Lammers und Daniel Schaub an die Arbeit des sogenannten schwierigen dritten Albums und nehmen sich dafür ein ganzes Jahr Zeit. Entstanden ist Irrational in Berlin, in den eigenen vier Wänden der Jaqueline Bellevue Studios. Zum ersten Mal arbeiten Jack Beauregard mit Gastmusikern, nehmen Schlagzeug und Holzbläser auf, die wunderbare Valeska Steiner von Boy singt Chöre auf einigen der Lieder. Daniel Schaub und Pär Lammers feilen unermüdlich an der perfekten Synthese aus akustischen und programmierten Elementen. Von den Mühen, Nerven, Geduldsfäden, Beziehungen, Freundschaften und Biorhythmen, die diese Platte vielleicht gekostet hat, ist nichts zu hören, schwer erklärbar leicht schwebt die Musik dahin. Dass es aber eine große Leistung darstellt, eine an Farben und Ebenen derart reiche Musik zu schreiben, aufzunehmen und zu produzieren, will hier gesagt sein. Jack Beauregard haben es nämlich mit Irrational geschafft, den Hörer komplett vergessen zu lassen, welche Instrumente spielen, welche Wörter was sagen wollen und in welchem Stil sich diese Musik verortet. Sie bewegen sich elegant zwischen Song und Track, zwischen der geraden Bassdrum und dem "Ich liebe dich, ich liebe dich nicht", einer melancholischen Unentschlossenheit, die aus jedem Melodiebogen auf dieser Platte spricht. Pär Lammers und Daniel Schaub haben sich mit ihrem dritten Album zu einer Unabhängigkeit und Universalität hochgeschraubt, die zum Beipiel einen Autor dazu bringt, seinen Worten zu misstrauen und ihn seine Arbeit vergessen zu lassen. Die Musik sagt: "Leg den Stift weg, fahr den Rechner runter, hör zu, träum weiter." Ein Traum ist kein schlechtes Bild für das, was die zehn Songs auf Irrational zusammenhält. Die Musik und die Texte spielen mit Erinnerungen an Situationen, die nie passiert sind, aber echter scheinen als alles Gewesene. "This ship is on fire, but it ?s leaving the harbour" singt Daniel wie einer, der an Bord war, aber nicht mehr weiß, wie er es unbeschadet an Land geschafft hat. In Not that kind, der ersten Single des Albums, wird beschrieben, wie es eben meistens ist: "It ?s not that bad, it ?s not that kind". Dieser Zustand zwischen Euphorie und Niedergeschlagenheit, man könnte sagen, der Normalzustand, der gut ist, weil er alle Farben in sich trägt, wurde selten so schön gefeiert wie in diesem Lied. Durch das gesamte Album ziehen sich Reisen durch die Zeit, Ausflüge in die Stile der letzten, sagen wir, 50 Jahre: Der Weichzeichner von Simon and Garfunkel, die Rhythmik des Herbie Hancock der Rockit-Ära, die Kinderliedmelodien von Robert Palmer und Nik Kershaw, die Magie der großen Popalben von Rumours über Thriller bis Alphabetical. All das scheint durch die Musik wie die Sonne durchs Pergament. Und dennoch ist nie ein Zaunpfahl in Sicht, Jack Beauregard haben ihre Helden viel zu sehr verinnerlicht, um eklektizistisch zu sein. Pär Lammers und Daniel Schaub haben auf Irrational einfach ihre Musik gemacht, die zeigt, wo sie überall schon waren. Und wir können dazu tanzen oder weinen. Oder Beides. Und langsam fange ich an, an Zeitreisen zu glauben, ich entdecke beim Rumirren im Netz ein Foto, das in einem kanadischen Museum hängt. Es zeigt eine Menschenmenge um 1940. Mittendrin: ein hochgewachsener Hipster mit Sonnenbrille, bedrucktem Shirt und Wollschal: Daniel Schaub! Einige Tage später sehe ich mir zum etwa hundertfünfzigsten Mal "Circus" von Charlie Chaplin an. In diesem Film von 1928 sieht man in einer Straßenszene ganz kurz eine Gestalt im langen Mantel mit dem Handy telefonierend durchs Bild laufen. Schlechte Verkleidung, Pär Lammers! Ich hab euch, Jungs! Diese Website bildet den temporären Stand eines kontinuierlichen Arbeitsprozesses ab. Obwohl bei der Zusammenstellung der auf unseren Webseiten enthaltenen Informationen größte Sorgfalt angewandt wurde, kann tapete records für die Aktualität, Richtigkeit oder Vollständigkeit keine Gewähr übernehmen. Haftungsansprüche gegen tapete records, die sich auf Schäden materieller oder ideeller Art beziehen, welche durch die Nutzung oder Nichtnutzung der dargebotenen Informationen oder durch fehlerhafte und unvollständige Informationen verursacht wurden, sind grundsätzlich ausgeschlossen. Wir behalten uns Änderungen der Informationen auf diesem Server ohne vorherige Ankündigung vor. Alle Angebote sind freibleibend und unverbindlich. Copyright © 2011 tapete records. Alle Rechte vorbehalten. Die Inhalte dieser Website sind urheberrechtlich geschützt. Ohne schriftliche Genehmigung seitens tapete records darf der Inhalt dieser Seite in keiner Form reproduziert oder unter Verwendung elektronischer Systeme verarbeitet, vervielfältigt oder verbreitet werden, es sei denn, Gegenteiliges wäre ausdrücklich vermerkt.